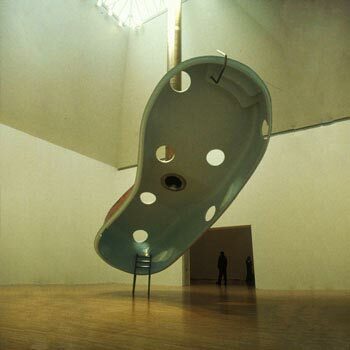 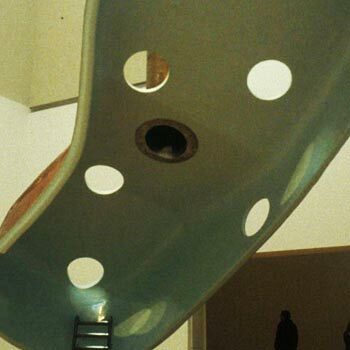 A Cattalina III fibreglass swimming pool shell was suspended upside-down from a 60’ pipe inside MOCA’s subterranean gallery. 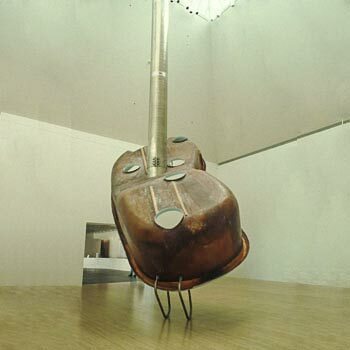 The pipe ran up to a pyramidal skylight in the ceiling of the gallery and out into the street, funnelling sound back into the gallery. 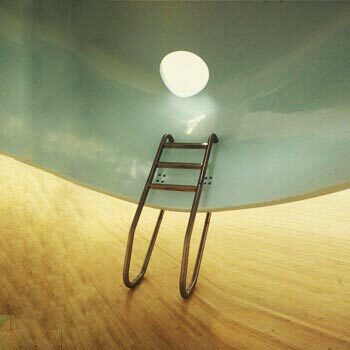 The swimming pool, although structurally unaltered, was perforated with a series of strategically placed.